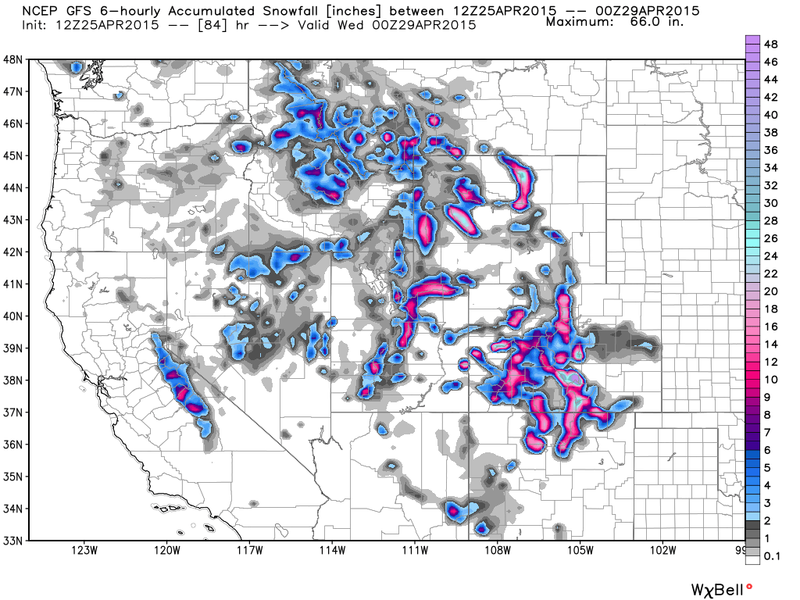 More Heavy Snow For New Mexico's Northern Mtn's. Ruidoso, New Mexico This Morning. Snow fell across the higher elevations of the Sacramento Mountains Thursday night into early Friday morning. 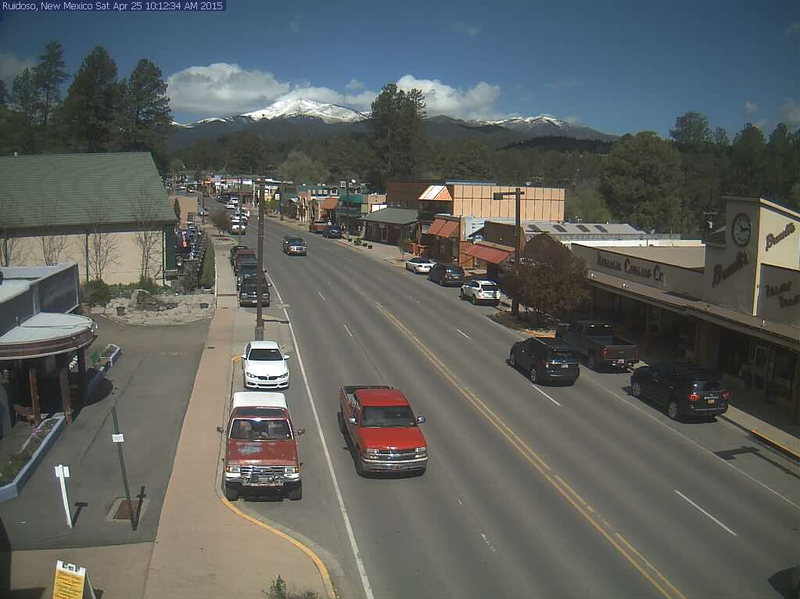 The Sierra Blanca Snotel reported 5" while Cloudcroft reported 2". Cloudcroft saw 8" of snow fall on April 24, 1966. 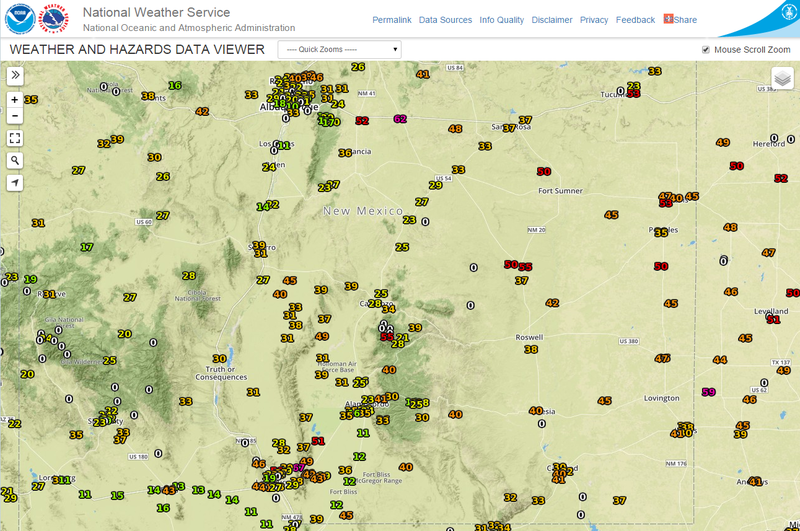 Windy Friday In New Mexico & West Texas. 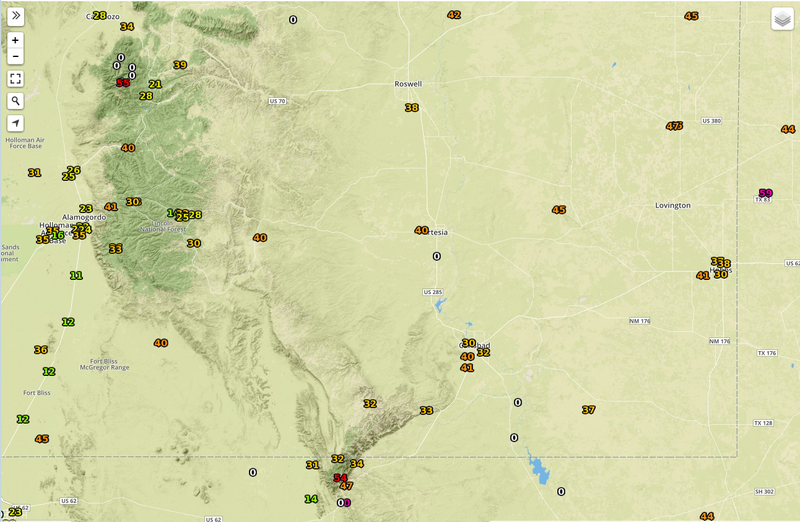 Reported Peak Wind Gusts On Friday. 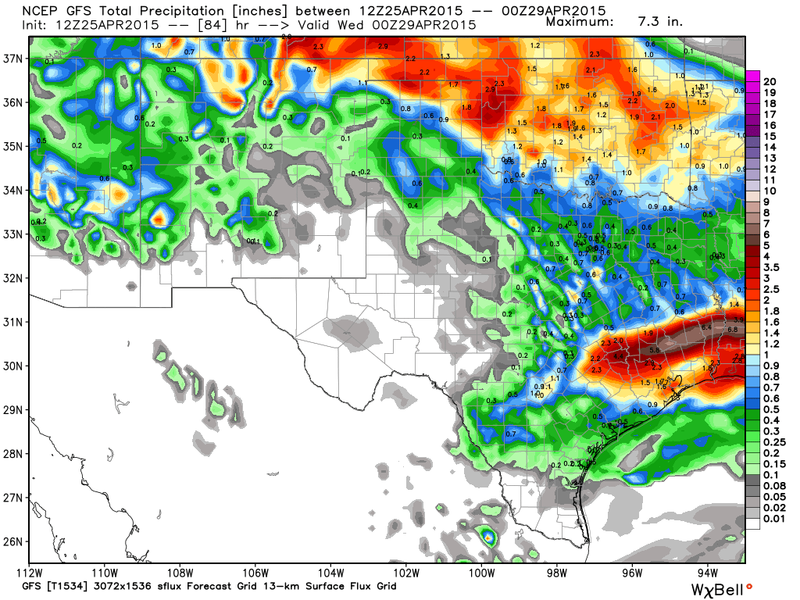 Severe T-Storms Rake Fort Worth With High Winds Friday. @ 6:16 PM CDT, Friday, April 24, 2015. 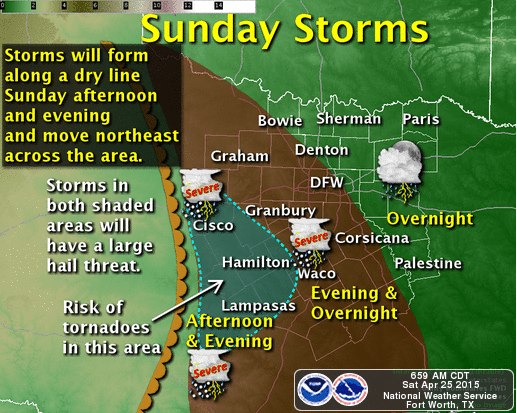 Courtesy Of The Fort Worth NWS Office. As the upper level storm responsible for the snow in New Mexico begin to lift northeastward yesterday afternoon severe thunderstorms broke out in Texas. A line of severe thunderstorms approaching the Fort Worth area from the southwest and west "bowed out" and produced at least 80 mph wind gusts in parts of Parker, Johnson, and Tarrant Counties. This line of storms was moving to the east at 60 mph. 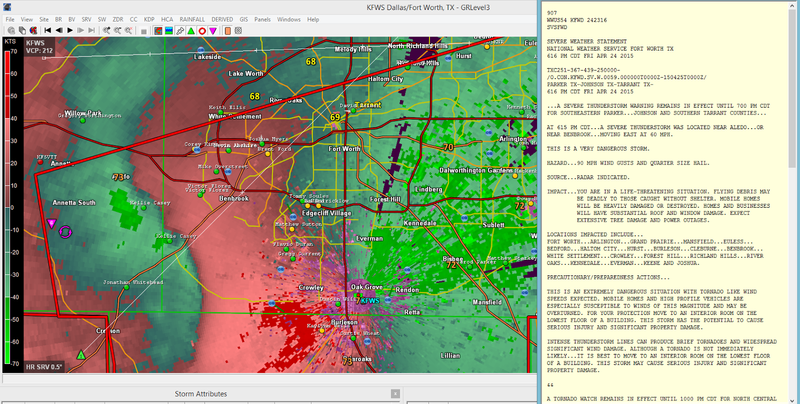 The Fort Worth NWS Office warned on this storm for 90 mph wind gusts! 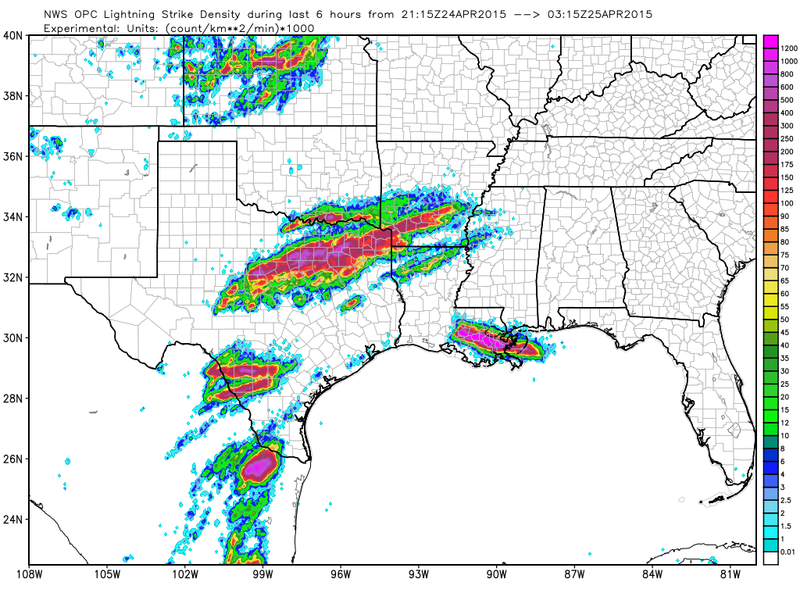 Severe Thunderstorms Return Sunday & Monday. 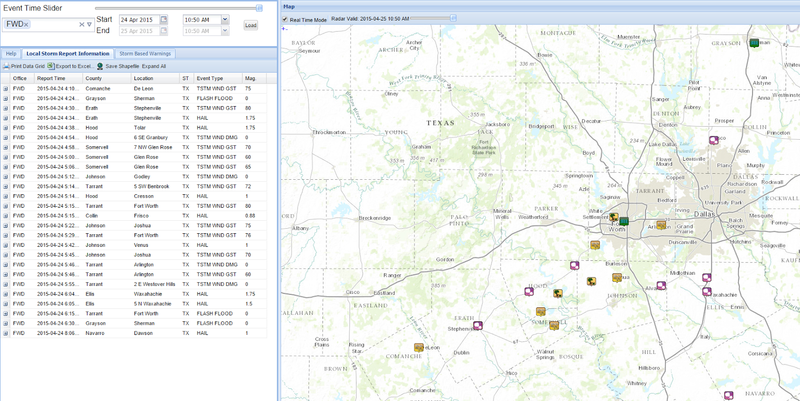 Courtesy Of NWS Fort Worth, Texas. 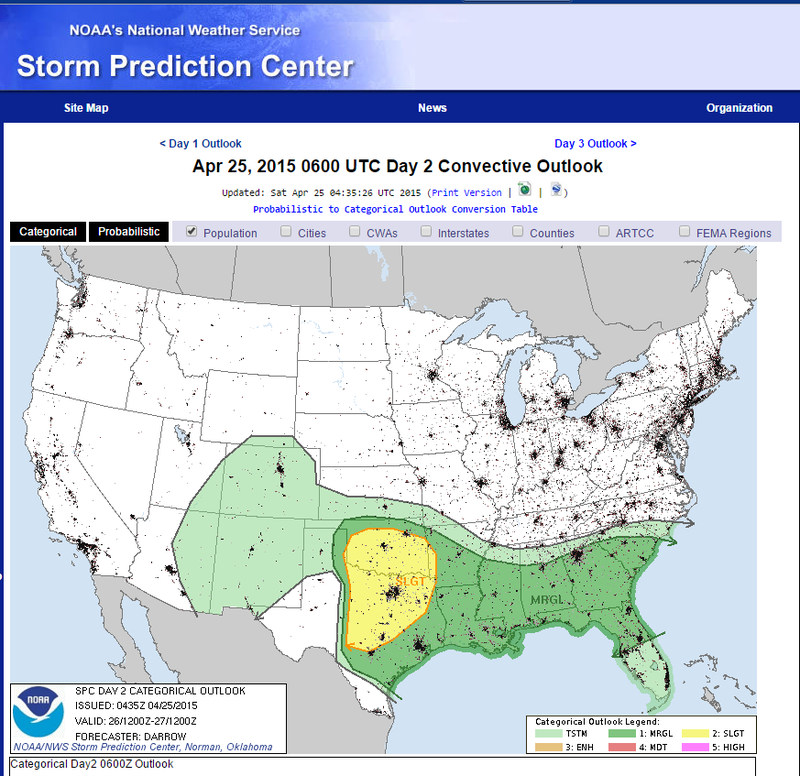 NWS SPC Severe Weather Outlook For Sunday. Next Storm Arrives Sunday & Monday. 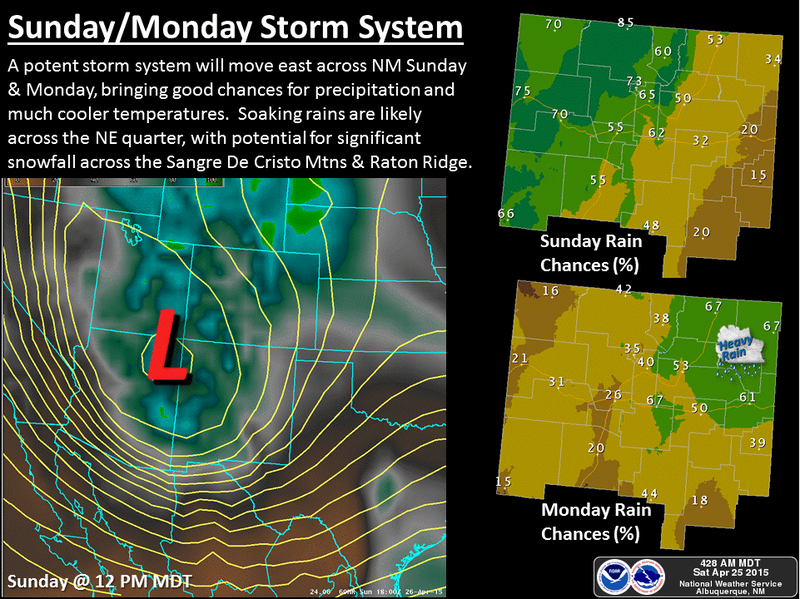 Graphic Maps Are Courtesy Of The Albuquerque NWS Office. Our Next Storm Located Over The Pacific Northwest. 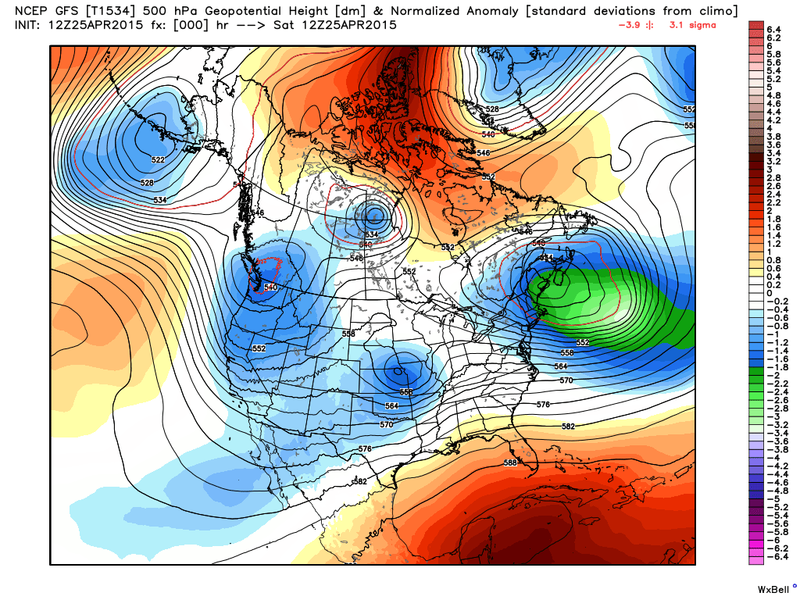 GFS 500 MB Analysis @ 6 AM MDT This Morning. 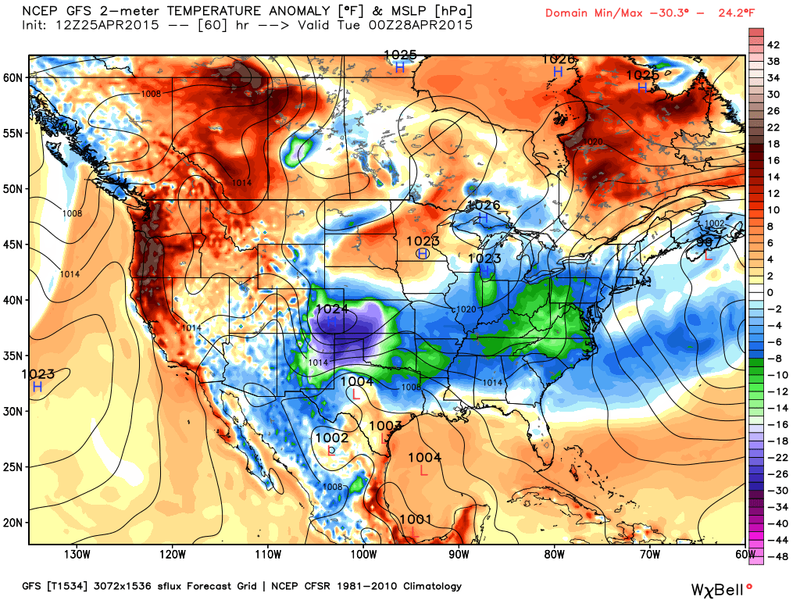 GFS SLP & Temperature Anomaly Forecast. GFS 6-Hourly Accumulated Snowfall Forecast. New Mexico's latest storm was located over northeastern Kansas at sunrise this morning while our next storm was just entering the Pacific Northwest. This next storm will stay north of us so more wind on Sunday. A High Wind Watch has been issued for the Guadalupe Mtn's for Sunday afternoon where southwesterly to westerly winds are forecast to gusts up to around 60 mph. Highs today and Sunday in SE NM will range from the mid 70's to near 80. A cold front will sweep across the area Sunday night into Monday dropping our highs back down to near 70 on Monday. A few widely scattered thunderstorms may form Sunday afternoon into Monday night but overall the heaviest rains are forecast to remain north of us over northeastern New Mexico. 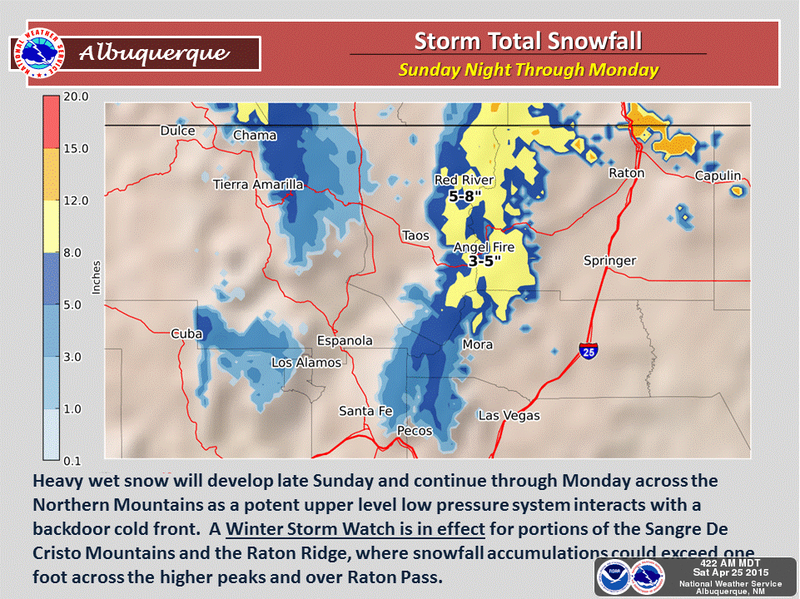 Heavy snows will once again be possible of the mountains of northern New Mexico where a Winter Storm Watch is in effect for up to a foot of new snow.